I am Dr Tyrone Bowes and this is me with my 3 sons Alexander, Fraser, and Callum. My sons all have popular Scottish names and indeed my eldest was born in Scotland where I spent 9 of the happiest years of my life, and where I met my wife. I am an experienced Biotechnologist and I have always been curious about my ancestral origins. I have always been interested in Biology, History and Geography, but chose to pursue my interest in Biology. I obtained a Diploma with ‘Distinction’ in Biology in 1995 and a 1st Class Honours Degree in Biotechnology in 1998. I then pursued a personal interest in Neuropathies as my father died from Motor Neuron Disease in 1994. I was subsequently awarded a P.hD. in Neuroimmunology in 2003 (click to view my CV). As soon as I found out about commercial ancestral DNA testing in 2003 I signed up and had my families DNA tested. By combining my understanding of complex DNA data (I am a Scientist), and my interest in History and Geography, I have been able to piece together the clues of as to my ancestral origins. It turns out that my most recent ancestors were Irish, had their own distinct Clan and lived in a particular part of Ireland. They were related to other Clans that lived close by and they left their mark in the Placenames where they lived for 100’s of years. What’s even more surprising is that my more distant genetic relatives revealed a more ancient link with Scotland, my closest Scottish genetic relatives being the 'Nisbets' of Ayrshire. Since 2012 I have been employed professionally by others to pinpoint where their Scottish ancestors originated based solely on the results of a simple painless commercial ancestral DNA test, some of their stories can be read by clicking here. Alternatively to view a short You Tube presentation demonstrating how to use your DNA to pinpoint where your Scottish ancestors originated click here. Unsure what DNA test suitable for you? Or have you had a Y-DNA test already and would like a FREE CONSULTATION? Then contact me by clicking here. The Scottish Origenes website was launched in 2012. In November 2012 I was a guest speaker at the world's largest commercial ancestral DNA testing company's annual conference. 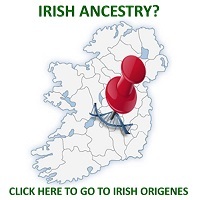 I have also presented workshops worldwide on using commercial ancestral DNA testing to Pinpoint where your Irish, Scottish, English, and Welsh ancestors lived. If you would like me to host such workshops in your area then you can contact me by clicking here. In the summer of 2016 I completed the Scottish Surnames, Clans and Castles Maps which are designed to help one pinpoint one's own Scottish origin, you can purchase those maps at a discount here. Remember folks, your DNA results are generated in a scientific lab, using complex equipments and trained staff. Interpretation of your scientific data should always be left to professional scientists. 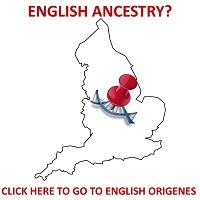 ALWAYS CHECK THAT YOUR GENETIC GENEALOGIST HAS A SCIENTIFIC QUALIFICATION! IT WILL SAVE YOU BOTH TIME AND MONEY!